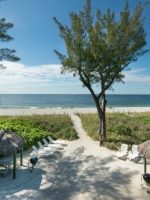 The barrier islands of Sanibel and Captiva on Florida’s West Coast are famous for their white sand beaches and amazing shelling. Visitors take a three-mile causeway from Fort Myers across San Carlos Bay and find themselves on the palm tree lined island of Sanibel. Here, it’s all about enjoying an island lifestyle, complete with cute cafes and resort clothing boutiques and shops selling seashells. 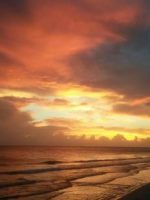 Continue north and you’ll eventually arrive on the more remote and seemingly wilder Captiva Island, where the long stretches of sugar-white sand beaches and beautiful sunsets are the main attraction. 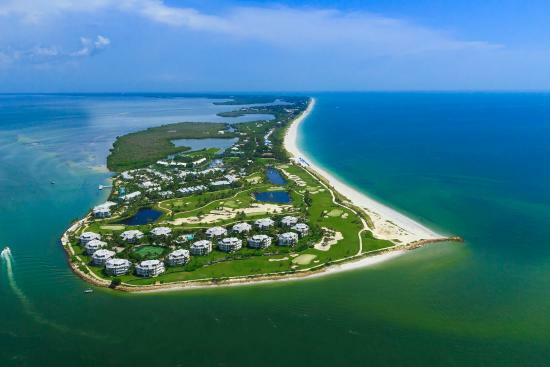 And on the northern end of Captiva Island, you’ll find the gulf-front South Seas Island Resort, set on a 350-acre wildlife preserve and with all the amenities of a family-centered retreat. 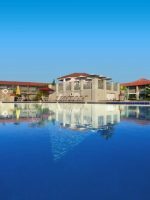 The resort offers numerous dining choices, tons of family activities and diverse accommodation options. 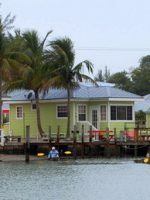 Part of the experience is exploring the property aboard the complimentary South Seas Trolley, which runs continuously between 7 a.m. and 11 p.m. Another bonus is the colorful restaurants and unique shops of Captiva Village, which are within walking distance of the resort’s entrance. 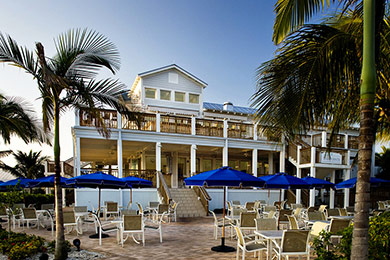 Located directly on the Gulf of Mexico, South Seas Island Resort spans 2.5 miles of private, white sand beaches. With more than 400 varieties of shells just waiting to be dropped into your kids’ sand pails along the beach, kayaks for hire and a fishing pier, the ocean is a major source of entertainment at this resort. Families that come here also love to visit the newest addition to the Resort Pool Complex, H2WHOA! Water Park. The zero-entry portion of the pool is perfect for toddlers and the waterslides are a thrill for kids of all ages. Once you’ve completed a full day of water-related fun, hop on the trolley and ride to one of the restaurants on-property. And don’t forget to stop by the ice cream shop before calling it a night. Then it’s back to your room to rest up — and, of course, repeat it all the next day. The resort has a total of 465 guestrooms -- including traditional hotel rooms; one-, two- and three-bedroom condos; and private homes. The Harbourside Marina guestrooms have recently been renovated and are the most modern of the accommodations. From the private balcony of these rooms, you can watch the comings and goings of the marina and spot resident manatees frolicking in the Yacht Harbor. Each room has a flat-screen TV, wireless Internet, small refrigerator, coffee maker and a spacious bathroom with granite countertops and a soaking tub. For families looking for the convenience of a full kitchen, the resort has more than 300 condos ranging from one-to-three bedrooms in size, and private homes with up to six bedrooms. Many of the condos have gulf or bay views, while several of the homes sit directly on the sand with private pools and porches for taking in the sunset. The dÃ©cor and condition of the condos and houses vary, but all have fully stocked kitchens, sleeper sofas, in-unit washers and dryers and plenty of storage space for beach toys. 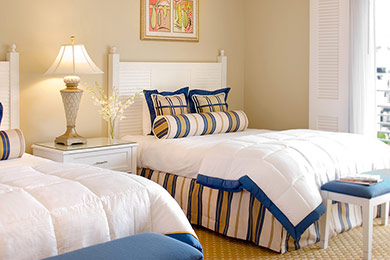 South Seas Resort offers both Pack 'N Plays and rollaway beds. The first Pack 'N Play is complimentary and any additional playpens are $20 each for the duration of your stay; rollaway beds are available for $20 each per night. For the amount of money spent, the resort was completely underwhelming. Crowded, no umbrellas, rooms not up to date. No room service. Went on a dolphin sunset cruise and didn’t see a single dolphin. Nothing like the website as my kids kept pointing out . Spend your money elsewhere . I feel terrible spending mine here. Our room was a bit over priced for what it was. Limited restaurants, one very nice expensive, the others on property closed at 7 and were really just fast foods mostly. Our room was not really equipped for three of us upon our arrival. The sliding door would not lock adequately. Repairs and all did come quickly. 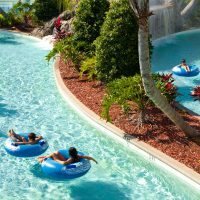 We had to call for housekeeping to come before 5:30 p.m.
With more than 20 pools on the property, two thrilling waterslides and miles of beautiful beaches, water-related fun is what this resort is all about. The Resort Pool Complex has three lagoon-style pools including its newest addition, the H2WHOA! Water Park. The curvy slide is a blast, but older kids looking for a thrill should try the three-story drop on the fast slide. 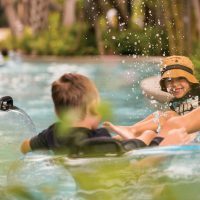 At the opposite end of the waterslide pool, the beach entry is perfect for beginning swimmers as parents can position themselves right nearby while keeping a watchful eye on their water babies. You can't beat the sugar-white sands and clear gulf waters of Captiva's beaches. Sunset Beach is located on the north end of the property and has a full-service setup, with towels, lounge chairs and umbrellas included in the $17 per-person (kids are free) daily resort fee. Sunset Beach Bar serves light food and drinks, and also sells beach toys and rather pricey sunscreen. Rafts and boogie boards are available for rent, but the main attraction here is the amazing shelling. Beach-goers wander the shoreline for hours collecting rare shells and the occasional intact sand dollar. A highlight for families staying at the resort is an excursion with Captiva Cruises. 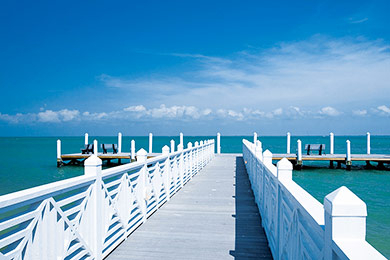 Pack a picnic and set off for the secluded state park and untamed beaches of Cayo Costa Island. Half or full-day trips are offered, and don't forget to bring snacks and drinks -- there are no facilities on the island. The nightly Sunset Cruise is a big hit with resort guests and the Dolphin and Wildlife Adventure Cruise is a must-do for families. Children shriek with excitement as dolphins leap and play in the wake of the boat. Even with all that action, volunteers from the Sanibel and Captiva Conservation Foundation manage to narrate an interesting tour through Pine Island estuary, identifying native birds and plants along the way. 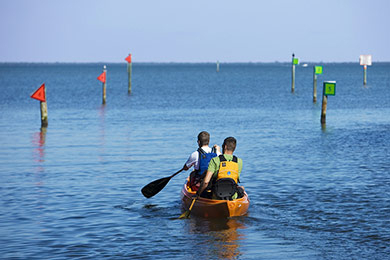 Sanibel Sea School is a non-profit marine education center that also serves as the resort's kids camp. There is a different, ocean-related topic for every session and plenty of hands-on activities, too. The facility has five aquariums representing the marine habitats of southwest Florida and a giant wall displays many of the 400 species of shells that can be found on the area's beaches. The school's activities are best for children between 6 and 13 years old, with morning sessions from 9 a.m. to noon for $55, afternoon sessions from 1 p.m. to 4 p.m. for $55, or full-day sessions with lunch offered a la carte from 9 a.m. to 4 p.m. for $110. A great place to hang out and take a break from the sun and sand is Skully's Family Interactive Center. The air conditioner is cranked and arcade games and air hockey tables are ready for impromptu tournaments. A new arts and crafts subject is featured each day -- perhaps painting coconuts or tie-dying T-shirts -- and the minimal fee covers art supplies. Children of all ages are welcome to participate. Skully's also offers a Kid's Night Out, where children between 4 and 11 years old can have a fun night of themed crafts and games while their parents get a break, too. The cost is $55 per child and the event takes place on Tuesday and Saturday nights from 5:30 p.m. to 9 p.m. Pizza and ice cream are included. Kids go wild for Scout About, a scavenger hunt that takes them on a tour of the property while they learn fun facts about the native landscape and wildlife. There are serious bragging rights for completing the adventure -- kids who turn in all 15 Discovery Bands get their name on the South Seas Wall of Fame! You can pick up at sandwich at the Ship's Store or grab a coffee at the Starbucks located on the south end of the property, and there are four main places to dine within the resort. Harbourside Bar and Grill has a relaxed atmosphere and a casual menu that's spot on for traveling families. Fresh seafood is what's touted here, but there are steak and pasta options, too. Adults can enjoy a cocktail while the children play in a nearby area reserved just for them. Breakfast and dinner are served daily. Open for lunch only, The Pointe serves grilled fish sandwiches, burgers and salads on its poolside patio. The view of the Pine Island Sound is the highlight, and the children's menu includes regular crowd-pleasers -- chicken fingers, grilled cheese sandwiches and hot dogs. Doc Ford's Rum Bar and Grille is already an institution in Sanibel and Fort Myers and the restaurant hopes its newest outpost at the southern end of the resort will be a hit, too. Lunch and dinner are served and the specialties include Yucatan Shrimp and Jerk Pork Chops. Don't miss their famous mojitos! For pizza and ice cream, Scoops and Slices is open for lunch and dinner and is conveniently located next to the Resort Pool Complex. If the kids have been extra well behaved, have them pick a treat from the floor-to-ceiling candy wall. Before you leave the mainland, make sure to stop at Publix (the location at Sanibel Beach Place on Summerland Road is your best bet) to stock up on food and beverages for your stay. Consider yourself warned -- grocery stores on the island are scarce and prices are high. The fitness center is open from 6 a.m. to 9 p.m. and includes treadmills, elliptical machines, weight machines and free weights. Personal training is also available. The complimentary South Seas Trolley services the entire property and runs from 7 a.m. to 11 p.m. Golf carts and bikes are another fun way to get around the property and can be rented at Best Boats, which operates out of the Bayside Marina. Ship's Store on Marina Walk sells basic grocery items, wine and frozen bait. Sunny Island Watersports operates onsite and rents kayaks, wave runners, stand up paddleboards and fishing equipment. It also offers parasail and banana boat rides. Colgate Sailing School offers a variety of sailing courses including GO! Sail, a two-hour course where children sail with seasoned professionals to hone basic sailing skills. Captiva Course is a nine-hole, par-27, executive golf course on the property. The Dune Golf and Tennis Club on Sanibel Island has an 18-hole championship course. The Pavel Backwood Tennis Academy is located onsite and offers services and instruction to individuals of all levels on 19 courts. There are daily clinics for children under 10 years old and adult clinics for more experienced players. Children under 16 years old can fish from anywhere on the property and don't need a license. If you forget your equipment, rods can be rented and bait purchased at the Ship's Store on the Marina Walk. 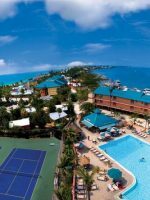 The prices are higher and the resort is often at capacity during the popular spring break months of February and March. The summer months are often brutally hot in Florida, but if you aren't afraid of the high temps, rates are likely to be best in late July and August. 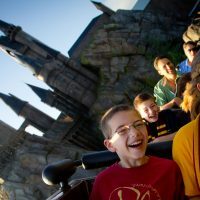 If the kids' school has a fall break, October and November are an ideal time to come -- the crowds are down and the weather is often perfect. Southwest Florida International Airport (RSW) is the closest airport to the hotel and is about 35 miles from the resort. There is no shuttle available to the hotel, but all major rental cars companies have kiosks at the airport. When you leave the mainland and cross the Sanibel Causeway to the barrier islands, there is a $6 toll. Let the kids enjoy Kids' Night Out at Skully's and get off the property to one of Captiva's local institutions, The Mucky Duck. The seafood is great and the view of the sunset can't be beat. The resort's onsite spa, Kay Casperson Spa, specializes in massage and facials using all natural products. Couples massages can be arranged.